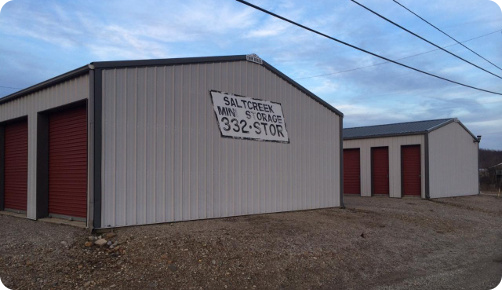 Saltcreek Mini Storage in Laurelville, Ohio, and Stoneridge Storage in Circleville, Ohio, provide residential and business customers throughout the area with a safe, convenient and dry place to store their belongings. Having a place to store your belongings that you are not currently using is often a necessity. When you do not have the space at home, consider storage - self service. Whether you have moved from a large home to a smaller one or just have items that you are not currently using, you probably could benefit from having a storage space. There are many options available at Saltcreek & Stoneridge Storage. Commercial storage options might be something that you need for your business. Whether it is computers and copiers that you do not have space for in your office or paper products and similar items that need a place, Saltcreek & Stoneridge Storage has the options that you can use. 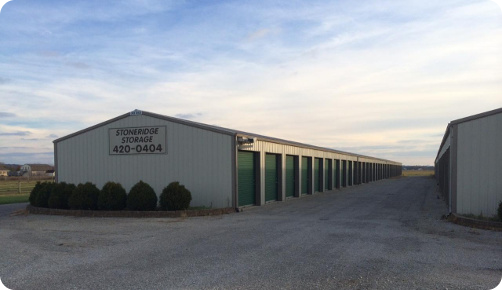 Trust the self-storage professionals at Saltcreek Mini Storage in Laurelville, Ohio, and Stoneridge Storage in Circleville, Ohio, for all your residential and business storage needs. Whether your home can no longer hold your important belongings, you’ve moved to a smaller place, or you’re running out of room at your business, we offer two great locations to safely store your items. 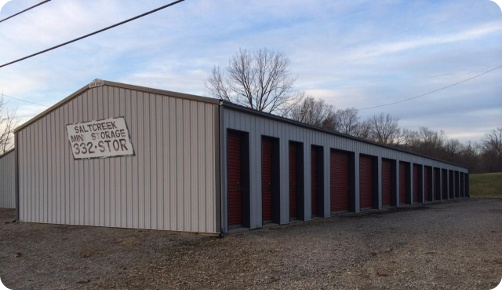 Enjoy dry, secure storage units; a variety of storage space size options, from 5’ x 12’ up to 10' x 20’; competitive, flexible terms; and 24-hour access to our well-lit facilities. Call for complete details about our One-Month Free offer. The self-storage specialists at Saltcreek Mini Storage and Stoneridge Storage have been committed to delivering complete customer satisfaction since 1996. Our goal is to make your self-storage experience as worry-free and beneficial as possible. Call today at (740) 420-0404 for space availability and to schedule a convenient appointment. Saltcreek Mini Storage in Laurelville, Ohio, and Stoneridge Storage in Circleville, Ohio, proudly serve the self-storage needs of commercial and residential customers throughout Pickaway County, Hocking County, and Greater Fairfield County, including these cities: Ashville, Buckeye Lake, Canal Winchester, Commercial Point, Darbyville, Harrisburg, Pickerington, Lancaster, Logan, New Holland, Orient, South Bloomfield, Tarlton, and Williamsport.